In times of trial and struggle I've come to believe that we can either view these times up as either "Here go again" times or "Here we GROW again times". 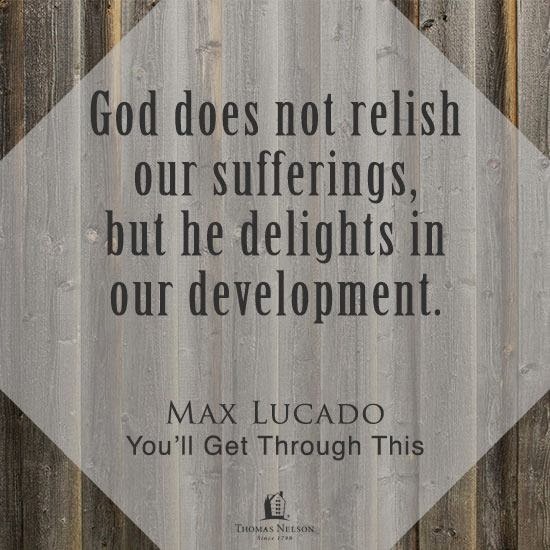 God's Word teaches us that trials, hard times, struggles, etc are not without purpose and through these hard times He is and always has been at work. (See Romans 5:3-5, Romans 8:28 & 1 Peter 5:10 for some examples) You are not alone in your battle, The Lord is with you and your family in Christ is with you as well..that is if you don't distance yourself from God and cut off the people around you during these times! Going forward, even though we can all attest to how difficult it is when we're in the thick of the battle, however, let us purpose to see these times a growth or "Here we GROW again time" where God is at work in your life for His Glory and your good! Amen!? You will make it through whatever you're facing today!